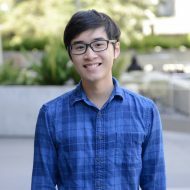 This post is the second post in the series ‘The Story of Thai Democracy’, where I’ll be covering the political history of Thailand since the transition from absolute to constitutional monarchy. You can read the previous posts in this series here. On a winter day in Paris, seven men met together in a coffee shop. While they were all Siamese, they were a diverse group, with three army officers, two law students, and a diplomat. What united them was their goal: over the course of five days, the seven men founded what would later become the Khana Ratsadon (‘People’s Party’) and plotted a revolution. Two main goals were adopted. First, to end absolutism and place the monarch under a constitution, and second, to use the state to achieve economic growth and greater social equity. It was not, needless to say, an easy task. They were planning to move against the ancien régime which had ruled the country since time immemorial. But the revolutionaries, after their years of study in the west, were unfazed by what they conspired to do. The group’s president, Pridi Panomyong, had achieved intellectual clarity about the need for a constitutional monarchy. Absolutism, he felt, was not adequately meeting the challenges of an ever-changing world. Only a democratic state could do so. Soon, after returning to Bangkok, the Khana Ratsadon set about recruiting members. Pridi, who became a teacher at Chulalongkorn University, gathered civilian supporters; on the other hand, Plaek Phibulsongkram (more commonly known in the west as Phibun) recruited members from the military. Pridi and Phibun would emerge as the two main leaders of the Khana Ratsadon in due course. What Pridi, Phibun and the Khana Ratsadon could not have known, however, was that while they were busy debating how to revolutionise the country, a similar effort was being conducted within the palace itself. King Rama VII, also known as King Prajadhipok, had ascended to the throne in 1925, after the death of King Rama VI. The new king considered a variety of reforms tand asked a variety of advisors, including Francis B. Sayre, son-in-law of Woodrow Wilson, to assist him in drafting a constitution. Not his princes and advisors, however. Many princes, including Prince Damrong Rajanuphab, a senior figure in the royal family who had spearheaded the national reforms under King Rama V, rejected the idea, saying once again that the Siamese people was not yet ready for democracy. Running into opposition, the king dropped the reforms that he had drafted. In the meantime, the king was dealing with a multitude of problems. Globally, the aftermath of the First World War had caused an economic downturn. He had also inherited a government deeply in deficit from his predecessor (King Rama VI had spent lavishly on new palaces, dramatic productions and various projects). Striving to rebuild the country’s finances, King Rama VII ordered deep spending cuts and raised taxes, causing severe dissatisfaction. It was in the midst of this discontent that the Khana Ratsadon chose to strike. By 1932, the Khana Ratsadon had grown to 102 members, including the so-called “Four Musketeers”, officers who held command over some of the Siamese army. In April, King Rama VII had left Bangkok for a vacation at the seaside town of Hua Hin, leaving Prince Paribatra in charge of Bangkok. I do not mean to seize the throne, nor to abolish it; my only mission is to place the monarchy under a constitution, and to form a parliament, so that all the people can have a voice in their government. Then Phaya Phahol drove off to begin the revolution. The Khana Ratsadon sprung into action. A gunboat was parked in the Chao Phraya river with its guns aiming at Prince Paribatra’s palace. The Khana Ratsadon’s forces seized the telegram office, severing any communication between the various princes and the king. Soon enough, tanks and troops were heading towards the Royal Plaza and the Ananta Samakhom Throne Hall. 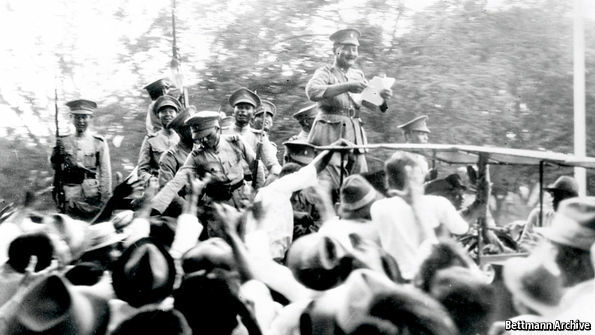 Here, Phraya Phahol climbed on a tank and read out the Khana Ratsadon manifesto, written by Pridi Panomyong, proclaiming the establishment of a constitutional monarchy. Absolute monarchy in Siam ended in a single day without a single casualty. If it seemed all too easy, it was because they had barely yet to confront any other armed forces outside the Khana Ratsadon’s control. Much still depended on the reaction of the king. King Rama VII, upon hearing of the revolution in Bangkok, immediately gathered his advisors to discuss their next course of action. There were still many loyalist units of the military that could be used to march on Bangkok. The king, however, decided against this; he declared that he “could not sit on a throne besmirched by blood”, and he had already favoured the granting of a constitution in any case, so there was little point in resisting the revolution. As a matter of fact we have long contemplated the institution of a constitutional monarchy and what the People’s Party have done is quite right and receives our appreciation. The two sides agreed to a course of action. Although Pridi’s draft constitution was initially intended to be permanent, it was instead designated a provisional constitution to be put into force while the king and the Khana Ratsadon wrote a permanent constitution together, which was promulgated on 10 December 1932. 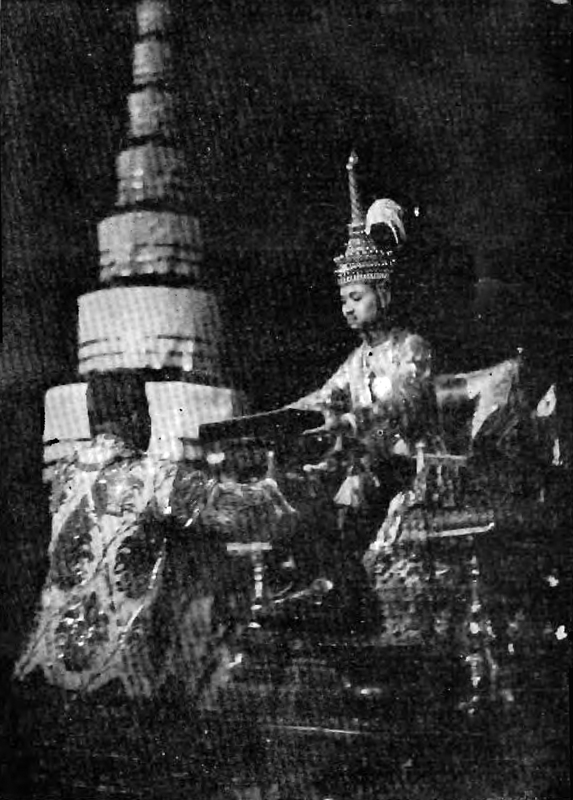 The ceremony displayed King Rama VII on his throne signing and granting the constitution as a gift to the Siamese people. A National Assembly, initially half appointed and half elected, was established. The first elections were scheduled. King Rama VII became the country’s first constitutional monarch. But he did not remain so for long. Conflicts within the Khana Ratsadon soon bubbled up; Phraya Manopakorn Nititada, a conservative official who had been appointed as the first prime minister, was ousted, and after that point the king’s relations with the Khana Ratsadon nearly reached breaking point. The Khana Ratsadon became increasingly dictatorial in nature, and the king saw that monarchial absolutism had only been replaced by military absolutism. After a failed countercoup by loyalist conservative forces (known as the Boworadet rebellion), the king decided to leave the country and reside in England. 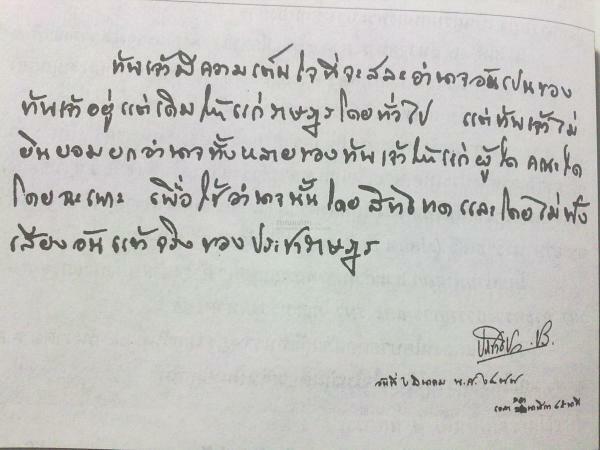 An ultimatum was issued: the king would only return if guarantees were made for his safety, and the Khana Ratsadon agreed to turn the National Assembly into a fully elected body. The Khana Ratsadon refused. The king abdicated on March 2, 1935. I am willing to surrender the powers I formerly exercised to the people as a whole, but I am not willing to turn them over to any individual or any group to use in an autocratic manner without heeding the voice of the people. Unfortunately, this was what had exactly happened; far from being the beginning of a vibrant democracy, the 1932 revolution heralded the start of decades of tumultuous military dictatorship. The struggle for democracy would continue. In the next post, I’ll be covering the early turmoil under the Khana Ratsadon.